on Amazon.com. They can also be ordered from any brick-and-mortar bookstore through distributors such as Ingram. All new releases are available as Kindle as well as Trade Paperback. Novelist, composer and conductor Somtow Sucharitkul (who writes books under the name S.P. Somtow) had an extraordinary epiphany while driving downthe California coast. At almost 50 years of age, having spent very little time in his native Thailand, he was seized by an overwhelming desire to enter a Buddhist monastery. This is the story of that journey, full of surprises, culture shock, discoveries, humor and spirituality. Visions, dreams, comedy, philosophy, wisdom and superstition mingle in an unforgettable fusion. Darker Angels is a classic of alternate history, horror, and dark fantasy. Rich in detail and research, this novel of stories within stories weaves fictional and historical characters in a dark tapestry of terror. Out of print for twenty years, this book is being made available in Kindle for the first time as well as a new trade paperback edition. It's Hollywood, with shrimp-and-avocado pizza for those bored with the plain old Thai barbecued chicken kind. Aaron has just discovered that his crush on the pneumatic Penelope is requited and is hurrying to the Mall doing amazing, magical things on his skateboard when Zap! 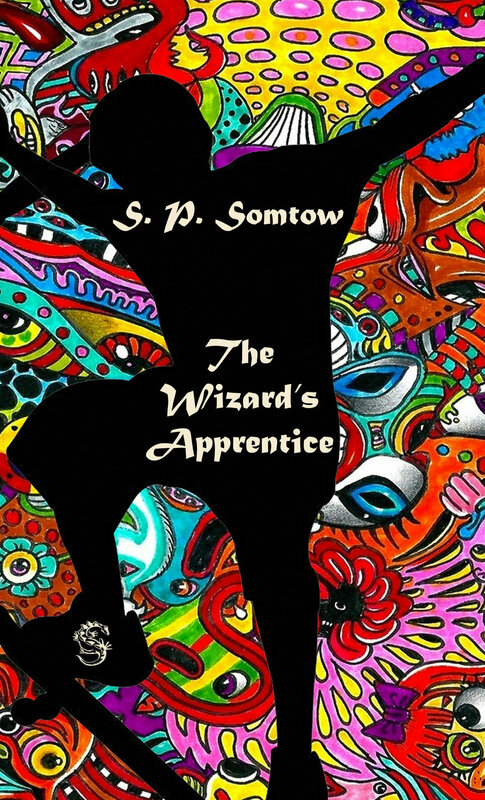 chief-wizard Anaxagoras traps him in a time warp, explaining that Aaron really does do magic and should be his apprentice. Aaron is given a mirror that reveals his true feelings about what it reflects; he also learns a dragon-making spell and a magic way to unstop toilets. But dragons are the bad stuff-- the mean, hateful, insecure side of a wizard. Aaron's dragon, smog-fueled, expands to cover most of L.A.--until Aaron, having discovered that he doesn't really despise himself, lets it look in his mirror and the dragon dissipates. As Anaxagoras says, ecology is a subset of magic; and as the author says, the one true magic springs from the human heart. Lots of laughs and Hollywood outrageousness!